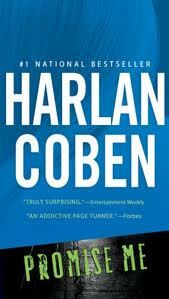 My Series Sunday pick is Promise Me, the eighth book in the Myron Bolitar series by Harlan Coben. Myron remembers how it was to be a teenager. Thinking parents just don't understand. Sneaking around with friends. Telling and keeping secrets. So when he overhears a close friend's teenage daughter and friend talking about being wasted and driving, he gets the overwhelming urge to offer his telephone numbers if they ever need to call or are ever in a bind. "Promise me. Promise me you'll call me. I'll come get you wherever you are. I won't ask any questions." A few nights/early mornings later, Myron gets a call at 2:17 a.m. It's Aimee, one of the girls. She promised to call if she needed Myron's help. Now Aimee wants Myron to keep his end of the promise. He picks her up and asks no questions. Then he drops Aimee off at a friend's house. The next day, Aimee is reported missing. Myron is the last person who saw her. Now he has to find her while facing accusations. 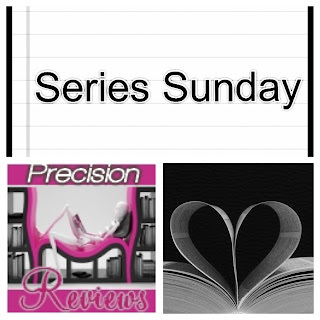 Unlike previous books in the series, Myron has to solve this mystery for his own benefit. He has to clear his own name and conscience. This time, it is personal. While there are still the usual Bolitar wisecracks, plot twists and suspense, this book is probably my least favorite of the series. Promise Me is not as satisfying and page-turning suspenseful as the other books in the series. However, it is still worth the read.